The NHL will crown a first-time Stanley Cup champion this season. The Washington Capitals and Vegas Golden Knights will play Game 1 of the Stanley Cup Final at T-Mobile Arena on Monday (8 p.m. ET; NBC, CBC, SN, TVAS). The Capitals are in the Cup Final for the second time. They also made it in 1998, when they were swept by the Detroit Red Wings. The Golden Knights are in the Cup Final in their inaugural season. It’s hard to debate the fact that the Golden Knights are the best story in the NHL, arguably in all of sports, but Alex Ovechkin’s push for his first Stanley Cup championship is a close second. Vegas is here in its first season. Ovechkin, the Capitals captain and one of the most recognizable players in the NHL, is here for the first time in his 13th NHL season. Prior to this season, Ovechkin never had gotten to a conference final, and the Golden Knights were only an idea. Ovechkin could solidify his legacy as an all-time great, ending the debate about whether he can lead a team to a championship. He has 22 points (12 goals, 10 assists) in 19 Stanley Cup Playoff games. Or the unbelievable story of the Golden Knights’ inaugural season for the ages could end with them making more history, leaving Ovechkin to face questions about winning the big one, his legacy open for interpretation for at least another year. Vegas goalie Marc-Andre Fleury is going for a personal three-peat after winning the Stanley Cup the previous two seasons with the Pittsburgh Penguins. No player has won the Cup in three consecutive seasons since 1983, when the New York Islanders had 19 of them on their fourth-straight championship team. To complete the three-peat, Fleury will have to defeat a team he has owned in the playoffs. The Cup Final marks Fleury’s third time as the starting goalie in a playoff series against Washington and his fourth time against them overall. He’s 3-0 so far. Fleury was in the Penguins net last season in the second round, when he had a .921 save percentage, 2.58 goals-against average and one shutout in a seven-game win against the Capitals. It was the last series he started because Matt Murray returned and helped Pittsburgh win the Stanley Cup. Fleury had an .878 save percentage and 3.01 GAA against Washington in seven games in the 2009 conference semifinals, which was good enough to help the Penguins win the series. He then helped Pittsburgh win the Stanley Cup, his first of three championships with the Penguins. In the 2016 second round, Fleury was Murray’s backup in a six-game win against the Capitals. Fleury is 22-12-2 in 38 regular-season games against Washington. Vegas general manager George McPhee was Washington GM from 1997-2014, and he drafted or acquired 14 of the 26 Capitals, including Ovechkin, centers Nicklas Backstrom and Evgeny Kuznetsov, defensemen John Carlson and Dmitry Orlov, and goalie Braden Holtby. McPhee also brought defenseman Nate Schmidt to Washington as an undrafted college free agent in 2013. The Golden Knights selected Schmidt from the Capitals in the NHL Expansion Draft. Washington GM Brian MacLellan was McPhee’s assistant for seven seasons before replacing him. MacLellan also worked under McPhee as a pro scout and director of player personnel prior to being named assistant GM. Fleury is the only player on the Golden Knights who has won the Stanley Cup. Defenseman Brooks Orpik is the only player on the Capitals who has won it. They won it together with the Penguins in 2009. That means there will be a lot of first-time winners this season. James Neal came close last season, when he was with the Nashville Predators and lost in six games to Fleury and the Penguins in the Cup Final. The forward is the only other player expected to play in the series who has appeared in the Cup Final. 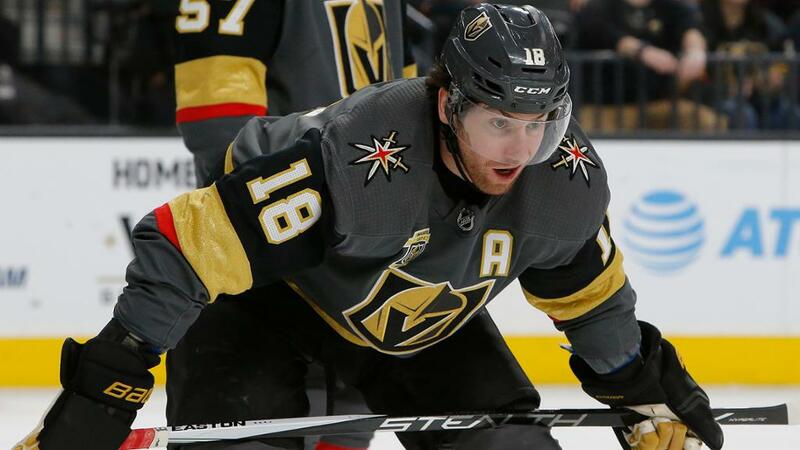 Vegas defenseman Brad Hunt was with Nashville last season but was scratched for all six games in the Final and has not played in the playoffs this year. Vegas forward Ryan Carpenter watched as a “Black Ace” (extra player) for the San Jose Sharks in the 2016 Cup Final. Golden Knights defenseman Jason Garrison, a “Black Ace” this season, played in the Cup Final with the Tampa Bay Lightning in 2015. The coaches in the Cup Final, Barry Trotz with the Capitals and Gerard Gallant with the Golden Knights, are hockey lifers who have been in the NHL for decades. One of them will win the Stanley Cup for the first time. Each is coaching in his first Cup Final. Gallant has 1,703 games of NHL experience as a player, assistant and coach. He played in 673 NHL games, including 58 in the playoffs, from 1984-95. He got his first NHL coaching job as an assistant with the Columbus Blue Jackets in 2001 and has coached 1,030 regular-season and playoff games, including 430 as coach, 21 of which are playoff games (14-7). Trotz never played in the NHL but has coached 1,632 games, including 108 in the playoffs (51-57). He is fifth in NHL regular-season games coached (1,524) and wins (762).